KANSAS CITY, MO. (Feb. 6, 2019) – The Greater Kansas City Restaurant Association (GKCRA) announced the inauguration of Marty Elton as the new president of the organization for 2019. Elton, along with the new board of directors and officers, were inaugurated at the association’s annual gala celebrating its 103rd year on Jan. 25, 2019. Marty Elton, founder of Wandering Feasts, was born and raised in Kansas City. Elton attended school in Park Hill where his passion for cooking started. In 2003, Elton moved to Connecticut to work with Dunkin Donuts’ promotional company, on the East Coast, managing new product launch events for the Fortune 500 company. Elton returned to Kansas City in 2005, working in multiple restaurants and sales positions. In 2012, Elton joined Jazz A Louisiana Kitchen, most recently working in management positions and as part of the team that opened the new Jazz location in Independence. In 2018, Elton left Jazz to pursue his dream of starting his own business. Elton recently founded Wandering Feasts, a mobile catering company in Kansas City. Elton’s industry knowledge and ability to relate to the needs of employees are key characteristics he brings as the next president of GKCRA. Elton shared his vision for the restaurant industry and local association for 2019 at this year’s event. The Inaugural Gala serves as one of the largest fundraising opportunities for the organization during the year. 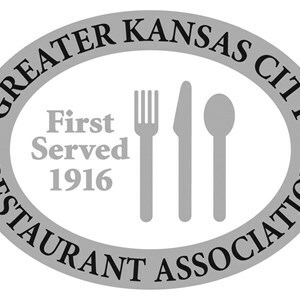 The Greater Kansas City Restaurant Association (GKCRA) is a trade association with more than 600 members consisting of restaurants, caterers, hospitals, schools, institutions, clubs and in-plant cafeterias as well as vendors serving the local restaurant industry. Members work together to represent, educate and promote the restaurant and hospitality industries in the Missouri counties of Cass, Clay, Jackson, and Platte and Kansas counties of Johnson, Leavenworth and Wyandotte. For more information on the GKCRA, “like” us on Facebook at www.facebook.com/GKCRA or follow GKCRA on Twitter at www.twitter.com/GKCRA.